Our company gives you the opportunity to spice up your living space with both hardscaping and landscaping. Come in today to explore your options. We offer unique, one of a kind, property design. 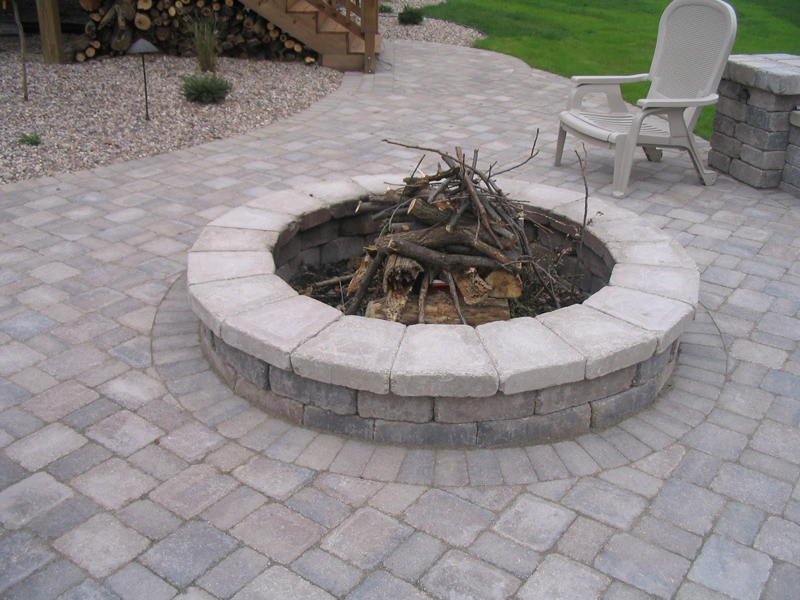 Whether you are looking for front or backyard designs, fire pit installation, flower bed landscaping ideas, or simply searching for your dream home landscape, we cover it all! 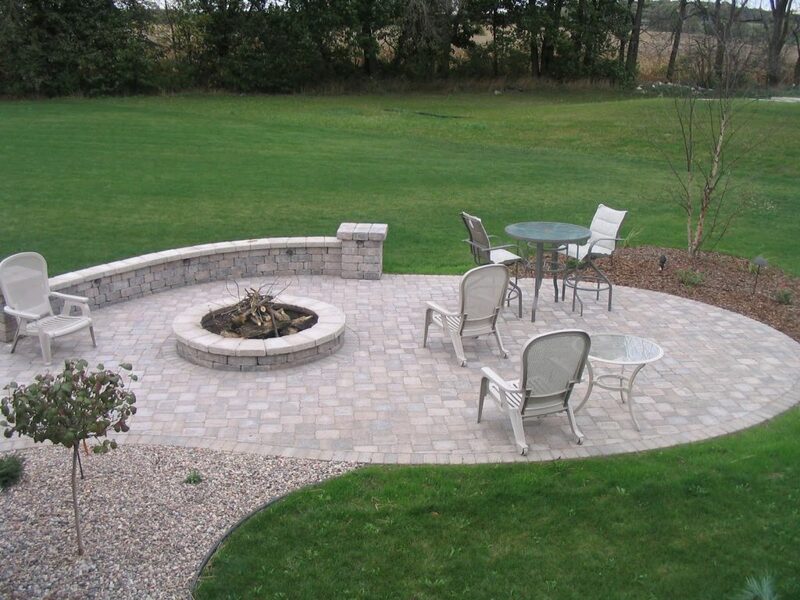 We install natural stone and brick paver walks, patios, and retaining walls. 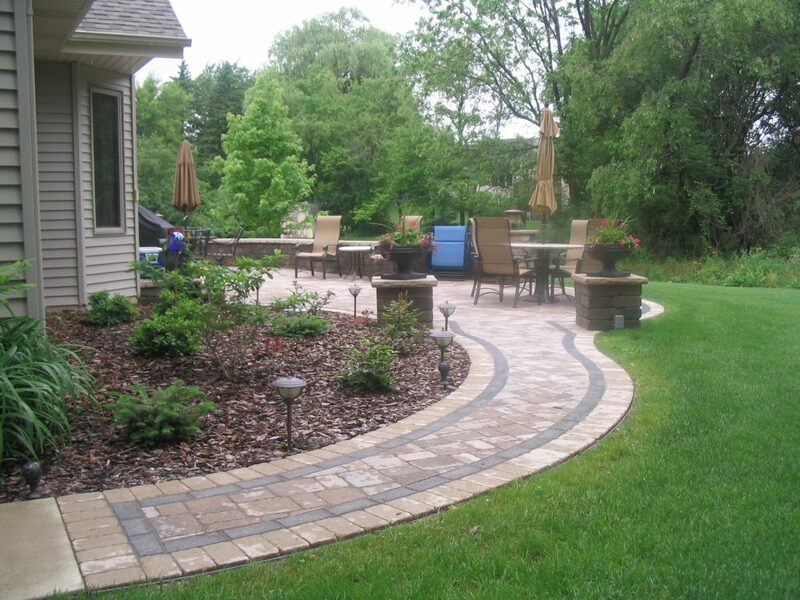 Let our expert landscapers design and create an outdoor space for you! Choose from some of our best garden landscape designs or create a unique landscaping plan of your own! Custom patio with built-in firepit. Here’s an easy to maintain relaxing outdoor space where mowing is a breeze and there’s plenty of room for everyone. Call your friends. Pull up a chair. Let’s get that fire lit. 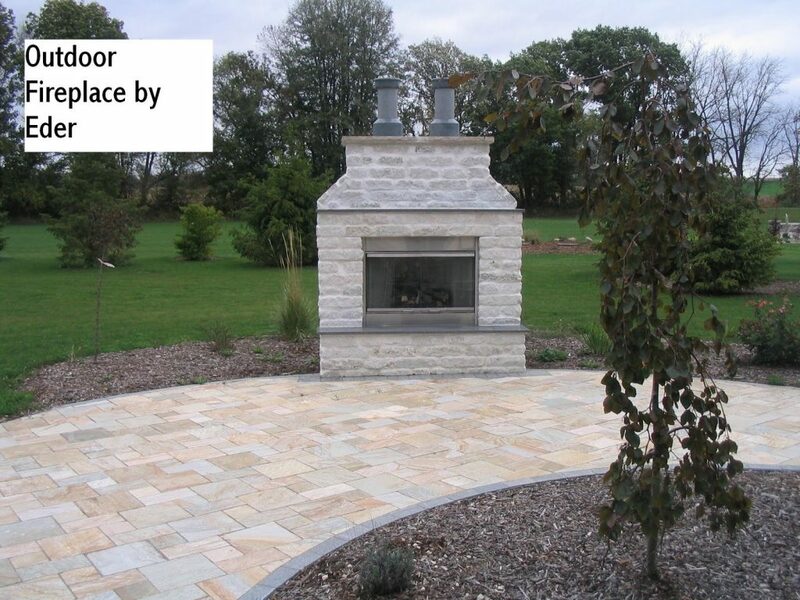 An outdoor fireplace makes a great focal point in your beautiful house landscape. Even in Wisconsin, many people use theirs year-round. 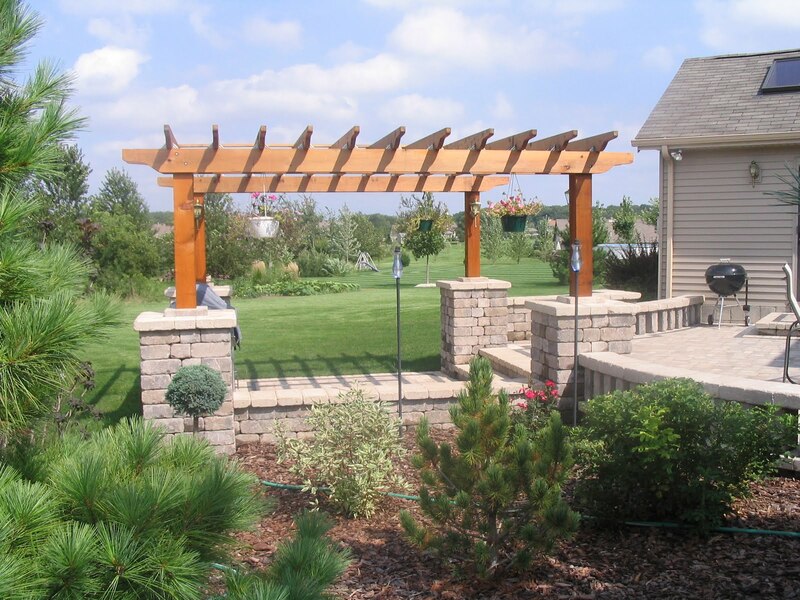 This pergola creates the impression of a separate “room” on this multi-tiered patio. Pergolas come in all shapes, sizes and materials. Bring your ideas and let’s talk!